Adapted for working in the Nordic countries and northern Europe. Holders for screwdrivers and other machines. Makes work on a ladder easier. The screwdriver then hangs at the rear to minimise the risk of injury. 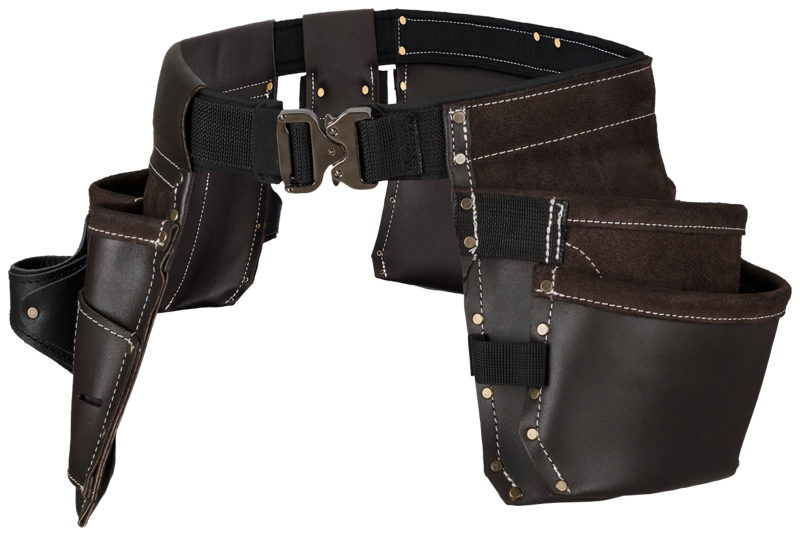 The belt is padded and kept in place with a heavyduty metal buckle. This allows for quicklock and adjustment. Material pockets adapted to fit both screws and nails. These are designed to be easily accessible to remove material from. Attachments for knife on both right and left side, and for laser or chalk line. The tool pocket is designed for easy access to hammer. Naturally, the belt has compartments for folding rule, chisel and a classic pen sheath.